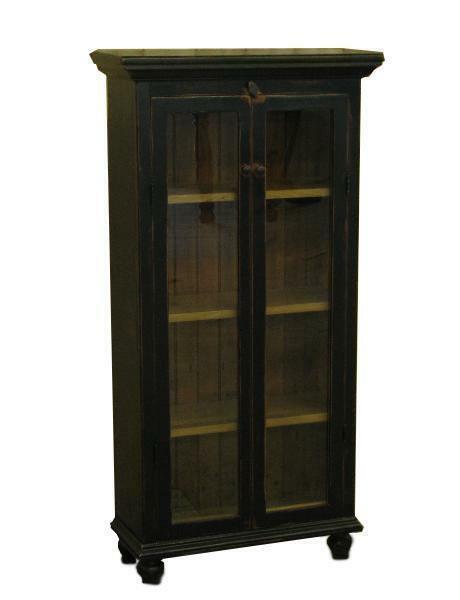 Celebrate your family's many accomplishments in this Amish Glass Front Cabinet. Handcrafted from Reclaimed American Barn Wood by our talented Amish Woodworkers, you can be sure this glass front cabinet will last the test of time. Standing 30" with 4 shelves to showcase you're favorite china or keep your cookbooks safe with room on top for a luscious green plant. Finish in you're ideal color to seamlessly match your kitchen.